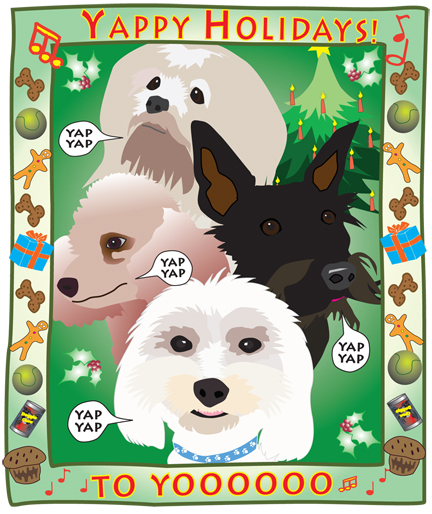 Many thanks to (from top clockwise) Darwin, Fergie, Paddington & Poppy without whom there would be no card. Click here for last year's card, and you can trace back through all the cards over the years. Below is an article about the food supply in Great Britain - and contains a message relevant to us in the US. One group caught my eye for most of the evening. It was made up of gentlemen all dressed in military uniform -- rather splendid military uniforms, obviously designed for just such a royal occasion. It was not the uniforms or even the rows of medals on their chests, but the fact that military members were there at all. What would the military be doing at a food gig at Buckingham Palace? Well, the answer stopped me short, so short that I have been unable to think of much else since that rather uneventful night - uneventful except for the firm handshake of Her Majesty the Queen. The answer in its simplest form was that the uniforms were the catering corps, a corps that has catered all over the world for British soldiers on every battlefield ever since men needed to fight and eat at the same time. The answer in its most shocking form was that these were the men who would be in control of the food in Britain should we face shortages. Shortages? Yes, shortages, of oil, water and their means of distribution. Shortages of flour, milk and eggs. Shortages of meat, fruit and vegetables. Be mindful of what supermarkets are doing and demand to see their business practices. Compost as much as you can, eat as locally and as seasonally as you can. I have tried to create that type of idea in The People's Supermarket, and hope that it grows in popularity.